CompanionLink allows you to complete an ACT! calendar activity on your phone. CompanionLink allows creates a History item for the completed activity. You can do this by inserting a forward slash “/” in the subject line of the calendar activity on your phone. 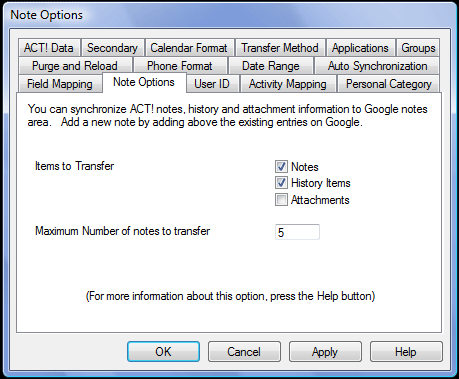 When CompanionLink will sync this data back to ACT!, it will complete the activity and create a History item in ACT!. Of course, History needs to be enabled under the Note Options tab. This entry was posted in Uncategorized and tagged ACT! activities, closing activities, completing activities by Rushang. Bookmark the permalink.